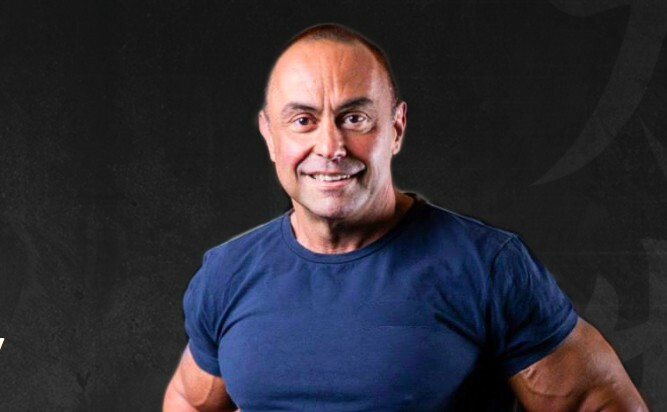 Charles R. Poliquin, one of the most influential strength coaches in the world, has unexpectedly passed away at age 57. The cause of death is currently unknown. The announcement was made in English and French on his Facebook page on the afternoon of Thursday, September 27. It is with a heavy heart that the Poliquin family from Ottawa announces the sudden passing of their brother Charles, a strength trainer much esteemed in his community. He was 57 years old. He leaves behind his daughter Krystal, his brothers Michel, Daniel and Louis, his beloved sisters, Isabelle and Stéphanie as well as a countless number of friends. A celebration of his life will take place. Details on the event will be shared in the next few days. It’s hard to adequately describe the life of a man so enormously successful. Born in Ottawa, Canada, he began coaching athletes of various disciplines while he was a graduate student, opened several training institutes around the country, established a certification program, wrote over half a dozen books, and as a coach he produced hundreds of Olympic medals. He trained athletes in over a dozen different sports including the NFL and NHL, long jumpers, speed skaters, and more, but he may be best known as a strength coach and lover of all things bodybuilding. He’s well known for popularizing German Volume Training and the athletic benefits of hypertrophy. As news of his death spreads across the industry, various figureheads have posted their condolences including this one from Ed Coan, widely considered one of the best powerlifters of all time. I’m extremely sad to announce the passing of my friend, Charles Poliquin! He has left an incredible mark on my soul! Treated me like a true friend and equal, even though he was way smarter. His friendship stays with forever. God Bless!! As someone we’ve had the pleasure of working with on several articles, this is a tragedy that hits particularly close to home at BarBend. We wish to extend our sincerest condolences to his loved ones and the entire strength community — there will be a lot of athletes raising glasses in his honor tonight. Rest in peace, Mr. Poliquin. Featured image via @strengthsensei1 on Instagram. Wow i just heard about this. I cant believe that i didn’t hear about it sooner. I’m a coach and I listen to many podcasts an follow a lot of major websites and didn’t hear a word. I am going to post a video about this. He will be missed.